The French alter-ego of Alexis Dubus, M Lucont was named the best sketch, character or improv act in the 2015 Chortle Awards, a year after being nominated in the same category. 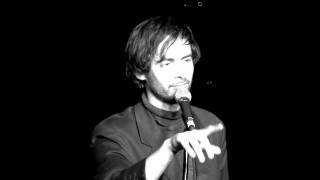 We do not currently hold contact details for Marcel Lucont's agent. If you are a comic or agent wanting your details to appear on Chortle, click here.